Painting isn’t a hard task, but painting well is surprisingly harder than it looks. It’s not just the act of painting itself, but choosing colors and matching shades can be a daunting task. 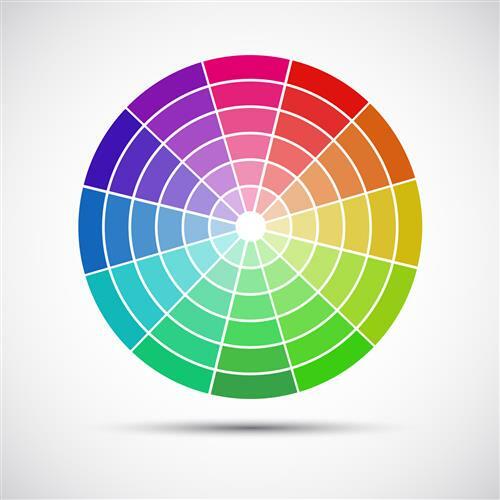 Professional interior painting contractors have an eye for color, and now you can, too, with these tips to help you make color choices like a pro. The color wheel is home to primary and secondary colors. Simply put, there are three primary colors: red, yellow, and blue. They are at 12 o’clock, four o’clock, and eight o’clock, respectively. These colors can be combined to create secondary colors. These secondary colors are green, orange, and purple. Colors in close proximity to each other on the color wheel tend to complement one another, while colors opposite each other on the color wheel contrast with each other. Colors are an effective way to convey mood in a room. Blues, lavenders, pinks, and soft yellows give a calm, comforting, even romantic feel to a room. For an elegant look, use neutral colors, like shades of brown or gray. If you want a more understated look, then utilizing different shades of the same color is the way to go. It’s also ideal to match your furniture, bedding, towels and other accessories with the same color for a soothing look. You’re already familiar with one pro technique now, which is using the color wheel. Another way to choose color combinations that will flatter your home is to use inspiration from the outdoors. Go outside and look at the world around you. Find some colors that really complement each other right outside your door. If you’re going for more of a period look, do some research and find traditional choices from that period. When you think you may have found colors you like, don’t commit until you test them out. First, start by viewing the color swatches in natural light. The colors might look great in artificial light, but do they still wow you in sunlight? Next, use a photography trick. Lay paint chips against a white background. This will allow you to visualize color tones more clearly and help you find the right tone of a color for your room. Now that you’re sure you have color you like, you should test it out on a section of wall. It’s good to test several different colors and live with them for a few days before making your final selection. Now that you’re ready to paint, use these tips to make your new paint job stand out. One option is to choose one shade for your walls and another closely related shade for the trim. For extra contrast, use two different finishes. Another idea is to select an accent color to complement your main color. Another idea is to add depth to a room using decorative finishes. This can be done with burnished mineral/metal finishes and layered colored glazes. This will create texture, intrigue, and even a bit of luxury. Whether you’re choosing replacement siding or you’re painting your home, this color is a visitor’s first impression of your home. First, explore your neighborhood’s color schemes. Though it may be wide-ranging, it’s good to stick with the general theme. Now, consider the architecture of your home. For instance, cottages often have diverse color schemes, while colonials tend to be painted one color and trimmed with white. You should also think about the colors of the permanent structures when choosing a color. 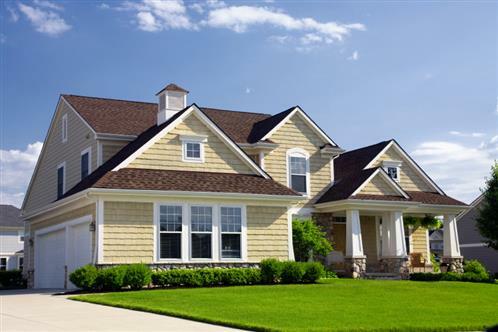 Pick a color that will complement structures like the roof and gutters. Last, use samples to see how the color looks during different times of the day. It may seem bright now, but in some lights you may think it’s drab. If painting or replacing your siding yourself seems like an insurmountable task, call Dixon Painting at 770-644-1992. We can help!